He became Governor of Texas in 1861, succeeding Sam Houston when he refused to take the oath of allegiance to the Confederacy. Edward Clark was born on 1 April 1815 in New Orleans, Orleans Parish, Louisiana. He married Lucy Long circa 1840 in Autauga County, Alabama. Edward Clark became a widower at the circa 1841 death of his wife Lucy Long. He married Martha Melissa Evans in July 1849. Edward Clark and Martha Melissa Evans appeared in the US federal census of 1 June 1850 in Marshall, Harrison County, Texas. Other members of the household included William E. Clark and Margaret H. Long. He was a lawyer, according to the 1850 census. Edward Clark and Martha Melissa Evans appeared in the US federal census of 1 June 1860 in Austin, Travis County, Texas. Other members of the household included John Evans Clark, W. E. A. Clark, N. M. Clark and Margaret H. Long. He was Lieutenant Governor, according to the 1860 census. He served as Colonel of the 14th Texas Infantry Regiment, CSA. Edward Clark has not been found in the US 1870 census; may not yet have returned from Mexico. 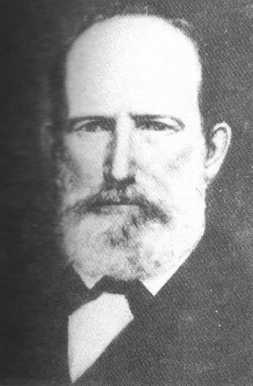 Edward Clark died on 4 May 1880 at age 65 in Texas. His wife Martha Melissa Evans became a widow at his death. He was interred at Marshall Cemetery, Marshall, Harrison County, Texas.